Today, a creative mind would seldom be unemployed as almost every brand or organization needs such people to grow their business. Skills like graphic design, marketing communication, creative thinking etc. are the ones which let you exercise both – the creative as well as the logical mind. Actually, for any designer, the sky is the limit and stars are the benchmarks. This phenomenon makes the job more attractive and appealing. 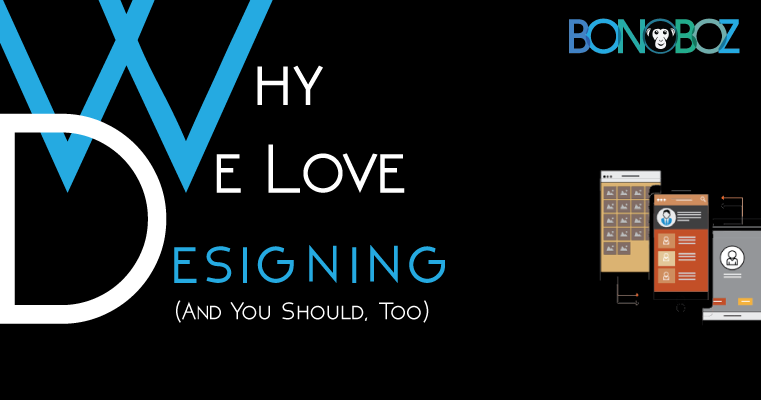 We, being a web design company and a digital marketing firm, love each and every aspect of designing. However, what truly drives us is something beyond the financial and corporate aspects of it. You may wonder why we, being one of the upcoming web designing companies of India have a strong affection for design and why we insist you to develop the same. Consider this the next time you search on google for say, “digital marketing companies” and you click on one of the links from the search engine result pages (SERP). Suppose that link directs you to a page where there is no proper design and organization of the different pages, an absence of precise navigation with black and white colors and simple font style and almost no proper formatting. In this case, ultimately you will have a subpar user experience. On the other hand, you will be delighted if you’re able to find the information more quickly in an easily understood and navigable format- something which can be achieved by better designing only. Designing fills the gap between the rich content and the better user experience. How designing steals the show! In today’s digital world, your website will be a mirror of your company to the viewers who wish to check your enterprise over the web. It is your website that creates the first impression of your enterprise over the minds of people. Nowadays, people refer your website first then come to meet you face-to-face which shows that better design can help you in promotion and marketing of the company. Additionally, if the user quickly quits your website, it will increase the bounce rate and you cannot do proper online marketing of your website. Hence, a perfectly developed website by a dexterous web design company will obviously have a great positive effect on your brand value. Proper structuring can be a boulevard for your website. The interlinking of pages, the orientation of the images, matching your company’s logo with the user interface of your website, putting proper and professionally written content on the website can affect more than you think. All these things, if organized, give the user an absolute navigation and thorough understanding of the website. Your web-pages must be accessible from almost every other web-page as easy accessibility leads to good experience. For an e-commerce website, designing becomes more crucial. Better the design, greater the conversion rate and eventually more revenue. E-commerce needs more precise navigation and even better exploration facility than a regular website. Since it includes thousands of products, their information, different products segments, sales and discounts on some products, payment gateway and other technical support; the success of every e-commerce campaign is based on proper designing. You have to create a belief in the customer that providing you their credit card details can be the safest thing to do. Using testimonials, in-depth and researched content & placing it strategically can let you achieve your goals. We, being a pioneer web designing company especially love these aspects and take this as a challenge to fulfill every condition and become a maestro in online selling. To sum up, make sure to implement a good design on your website and leave no stone unturned in making it user-friendly. If you’re looking for a professional & experienced opinion regarding the same, do get in touch.